In late August, I traveled with my family to Greece. It was my first visit since 1999, when I spent two weeks in Athens, the Peloponnese, Santorini, Ios and the mainland, including the Pelion Peninsula, Mt. Olympus, Meteora and Zagorohoria in the northwestern region of Epirus. I don’t know why I waited so long to go back. I won’t make that mistake again. 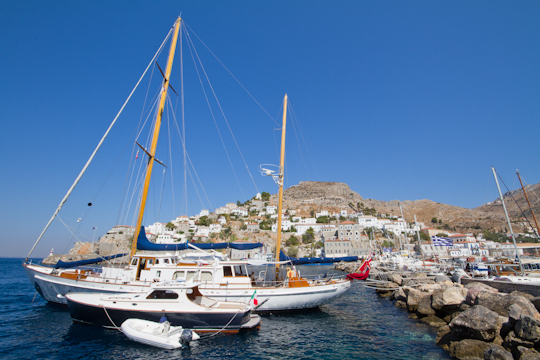 On this 11-day trip, we spent one night on each end in Athens, five nights on the Saronic island of Hydra and four nights on the Cycladic island of Naxos. The combination was perfect: half the trip on a relatively small and peaceful island with no cars, and half the trip on a larger island with more opportunities for exploration further afield but still not overly touristy. Click here for my full trip itinerary. 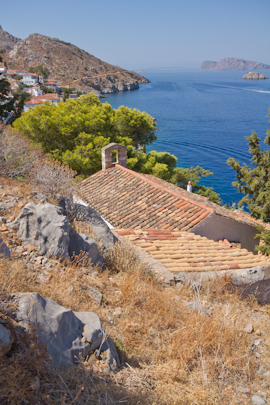 In Hydra, we rented a house, Evdokia House, which overlooked the main town and harbor. The house was lofty, luminous, spacious and clean, with simple yet elegant furnishings. 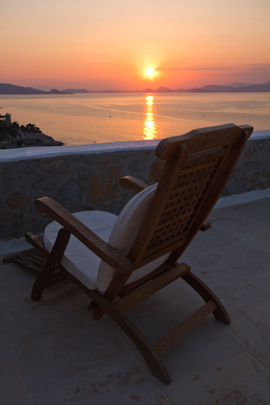 Best of all, the view from our expansive private terrace was unbeatable. 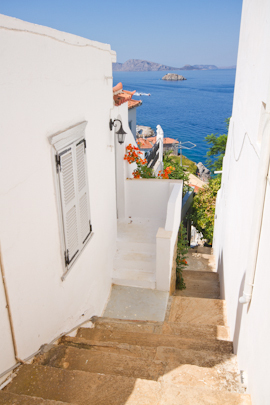 The only downside to Evdokia House is the rigorous uphill climb home – perhaps the equivalent of 10 flights of stairs? 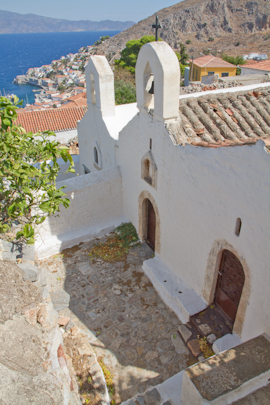 But you can’t avoid stairs in Hydra. You just get used to them and appreciate the excuse to indulge in the island’s incredible food. 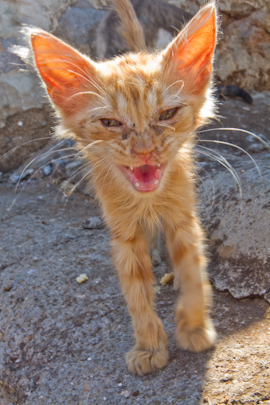 With no cars, our existence in Hydra consisted mostly of swimming (on the hotter days), hiking (on the breezier days), taking photos, visiting the shops along the harbor, eating and meet & greets with Hydra’s most friendly inhabitants, its cats. 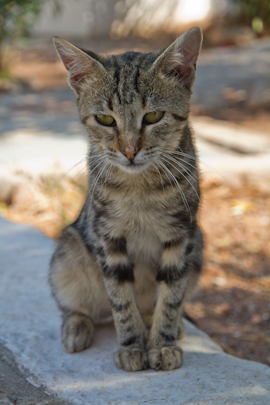 You notice immediately when you arrive in Hydra the abundance of cats. But these are not just ordinary cats. They have perfected the art of being affectionate and loyal without engaging in overt begging. The constant friendly faces added immeasurably to my experience. 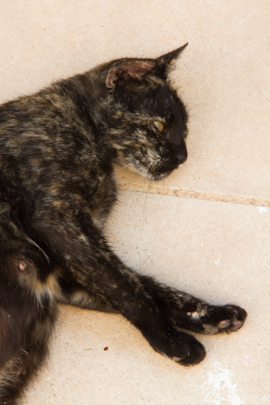 But the number of underfed and sickly cats also saddened me. 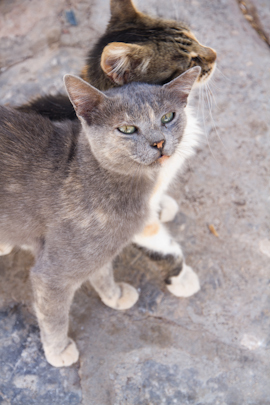 If you have even the smallest soft spot for felines, you undoubtedly will be tempted to adopt one or two… or three, if not forever, for the length of your stay. 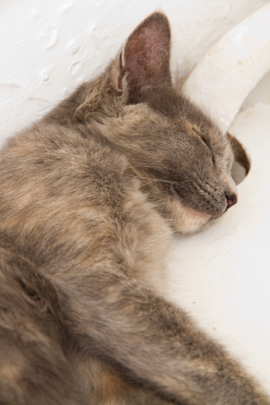 Our cat, whom we decided was most certainly named Kleopatra, adopted us in fact. I hope whatever she is up to now, she is doing well. 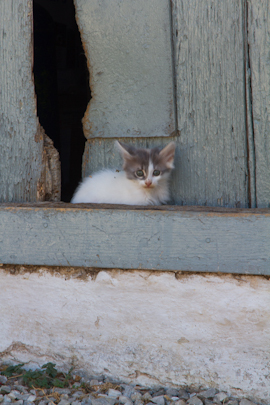 A tip for cat-lovers: You will eventually cave in and feed the cats. So don’t delay. Buy a box of Friskies on Day 1 and indulge yourself. The first few days of our visit were very hot. We walked a bit around the main town (Chora) and to some neighboring villages, but we stopped several times each day for a swim. 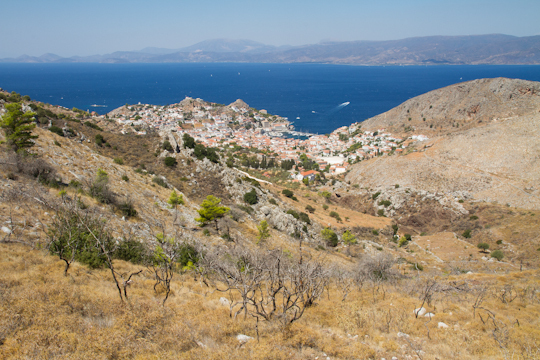 Hydra does not have many beaches and those it has are less than ideal. We found it much more enjoyable to jump into the water off the rocks. The water is delightful. Around Day 3, the breeze came. This made swimming off the rocks difficult but allowed us to hike further afield without feeling like we were carrying Mack trucks on our shoulders. Thanks to Anna Barry’s wonderful website, we explored just about every trail possible without taking a boat to another part of the island. See my full itinerary for more details. Check back on Thursday for my post on Naxos. 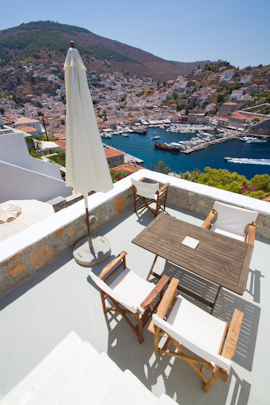 To view more photos of Hydra, click here. 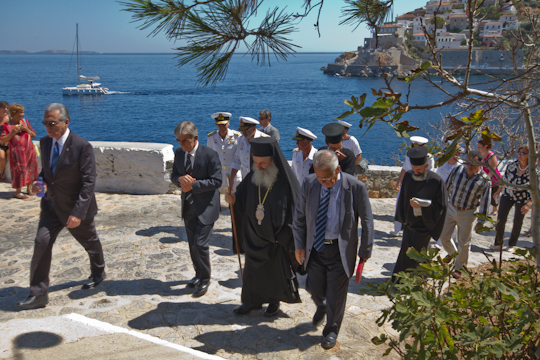 I have also posted photos of Naxos and Athens. 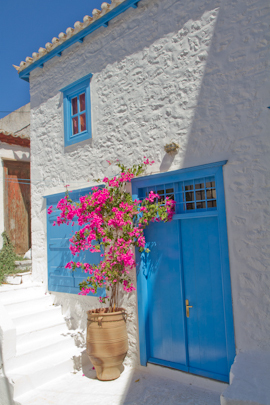 Have you visited Greece? 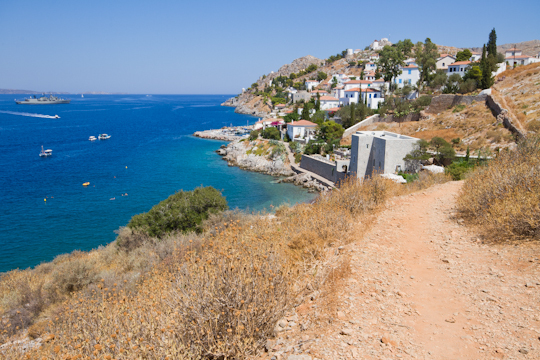 Which is your favorite place in Greece? Do you prefer the islands or the mainland?